This past month, in the spirit of March Madness, Fierce Healthcare put out a March Madness style bracket for their readers. The goal was to determine the biggest health buzzwords for 2019. One of the highest-ranking buzzwords that was returned: interoperability — and that is no surprise. Interoperability is a central requirement for improving the patient experience through consumer-directed exchange and population health initiatives. Making sure that the right data is matched to the right patient, or “patient matching,” is the foundation of health data exchange. Black Book estimates that healthcare providers already have 18% duplicate medical record rates. And CHIME estimates that this mismatch rate skyrockets to 50% when organizations exchange data with each other. In other words, patient matching becomes more challenging as HIEs are connecting data across their member systems — and even more challenging as they connect with other HIEs to share patient data. Yet accurate patient matching is foundational to the services that HIEs provide. What good is exchanging data about a patient if you’re not even sure who that patient is? Currently, 19 HIEs have risen to the challenge and deployed Verato patient matching solutions to ensure accurate, secure, scalable, and cost-effective patient matching. Verato’s customers include many of the largest HIEs in the country: Manifest MedEx, San Diego Health Connect, CRISP, MiHIN, CORHIO, and Healthix, to name just a few. In fact, Healthix, the largest public HIE in the nation, recently replaced their legacy MPI, IBM Initiate, with the Verato Universal™ MPI. With Verato, Healthix can focus their time and energy on creating and nurturing value-added community-centered health programs and less on manual task resolution and the daily operations of MPI system maintenance. As interoperability innovators, these HIEs have chosen Verato not just because of our expertise with HIEs – we understand their businesses, challenges, workflows, and technological requirements – but also because our technology is perfectly suited for their use cases. Our matching accuracy enables them to have confidence in their other services, our HITRUST certification provides confidence in our privacy and security compliance, our scalability and nimbleness enable them to quickly take on new initiatives, and our SaaS model enables them to achieve a very low total cost of ownership (TCO). Verato has pioneered a new approach to patient matching called “Referential Matching” that is a quantum leap more accurate than other patient matching solutions. In fact, Verato Referential Matching is so accurate that many of our HIE customers have deployed Verato Auto-Steward™ alongside their enterprise master patient index (EMPI) solutions to help those solutions when they struggle to match records. And in the case of HIEs — which have millions of patient records — Verato winds up resolving hundreds of thousands or millions of duplicate records that those other EMPIs miss. In fact, Verato has helped improve the matching of EMPIs from vendors like NextGate®, 4medica®, and IBM®. And because of our accuracy, we have been deployed as a hyper-accurate and scalable EMPI solution at HIEs around the country. Verato takes data security seriously and engages in numerous measures to ensure that ours and our customers’ data is private and secure. We are HIPAA compliant, PCI certified, SOC 2 Type 2 certified, and, most importantly, HITRUST certified. Further, we never store clinical data or hold any clinical information, and each client’s demographic identity data is used exclusively for that client’s patient matching. In other words, we never co-mingle our customers’ data with our reference data, and we never use our customers’ data to help other customers match records. Can other vendors say the same? HIEs are facilitating the exchange of large amounts of data from a large variety of disparate sources. At this scale, accurate and real-time patient matching can be challenging. Verato’s SaaS solutions are highly extensible (auto-scale to hundreds of millions of patient identities) and highly performant (with sub-second response times regardless of scale). HIEs frequently add new data sources and link new member organizations. For example, San Diego Health Connect (SDHC) was previously encountering issues on-boarding organizations with more than 10,000 patients into the HIE. But after deploying Verato, SDHC frequently on-boards organizations with six and seven figure patient volumes and maintains a 98% percent match rate. SDHC chose Verato because they require a solution that can handle these enormous transaction volumes, with data inclusion from a variety of sources, without losing performance and accuracy. Referential Matching technology allows for hyper-accurate matching, even as data volumes increase. Verato solutions are cloud native and are rapidly deployed and implemented in weeks with modern RESTful APIs. There are no maintenance, implementation, tuning, or upgrade costs and there is no hardware to deploy or software to install. Organizations can save hundreds of thousands or millions of dollars in operational and IT costs. And because Verato Referential Matching is so accurate, there are 50-75% fewer “potential duplicate” records that have to be manually reviewed and resolved, saving you operational costs as your staff can focus on higher priority initiatives. With Verato, there are no surprise fees or unexpected costs. As a subscription-based service, there is no need to worry about exceeding your budget month-to-month — we don’t “meter” your use and adjust your costs accordingly. 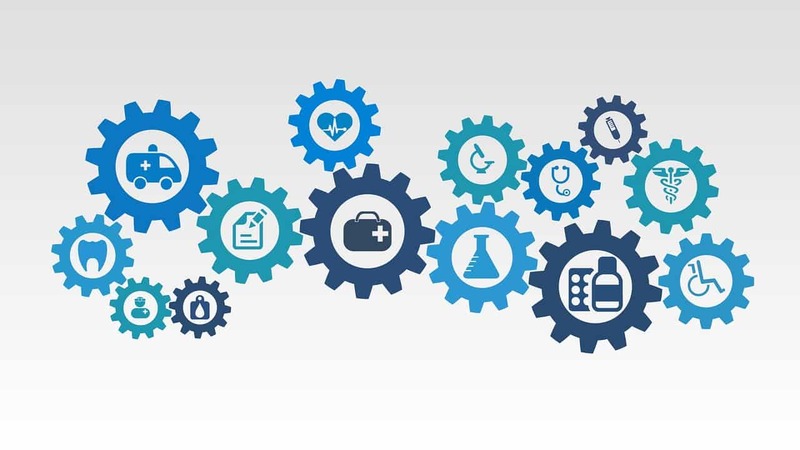 Thank you to all of our HIE customers who have taken steps to improve patient matching and work toward a future of accurate and secure interoperability that will ultimately lead to higher quality of care and improved patient outcomes. We are proud of the work you are doing, and we hope that other HIEs will join you!